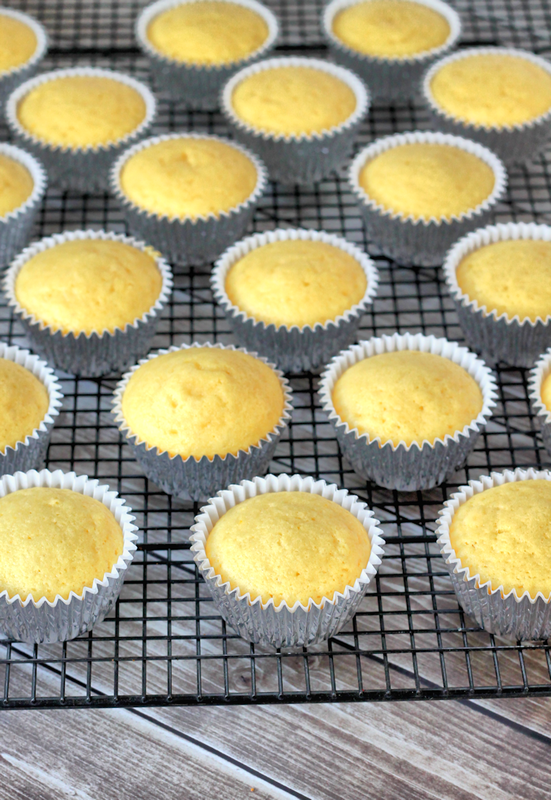 These delicious Lightened Up Lemon Cupcakes are the perfect afternoon snack that won’t ruin dinner. We are forever counting calories and watching what we eat in our house so I’m always on the hunt for lighter treats and desserts that satisfy our sweet tooth. I’d be lying if I said that we haven’t been known to polish off a bag of chocolates or a package (or 2 or 3) of cookies all in the name of having a “little something.” But this is a new year and we are really trying as a family to make smarter choices when it comes to food. And for me that means not giving into every baking whim that I have. Well, unless I can come up with a way to lighten up a recipe that is. 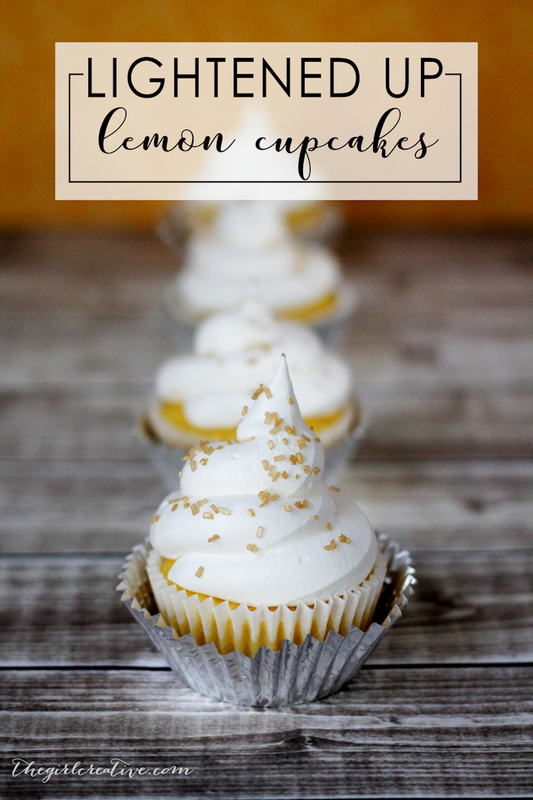 These lightened up lemon cupcakes fit the criteria and were a big hit in my house. A long time ago I heard about a way to take boxed cake mix and make it lighter. I’ve used this method many times over the years and anyone who has ever had my lightened up desserts never noticed. That’s what I call success. Believe it or not there is one secret ingredient that does the trick: diet soda. Yup. You can use boxed cake mix and instead of adding the eggs, water, oil, etc., you just substitute 12 oz of diet soda and bake as usual. 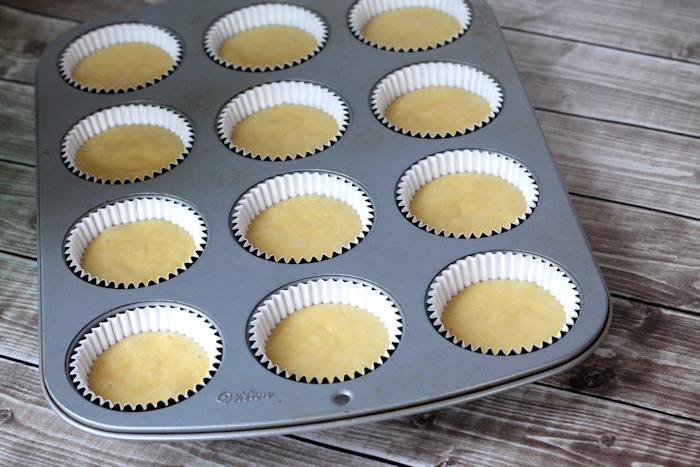 For these lightened up lemon cupcakes I used a sugar free boxed yellow cake mix and paired it with Diet 7UP. It was the perfect combination. 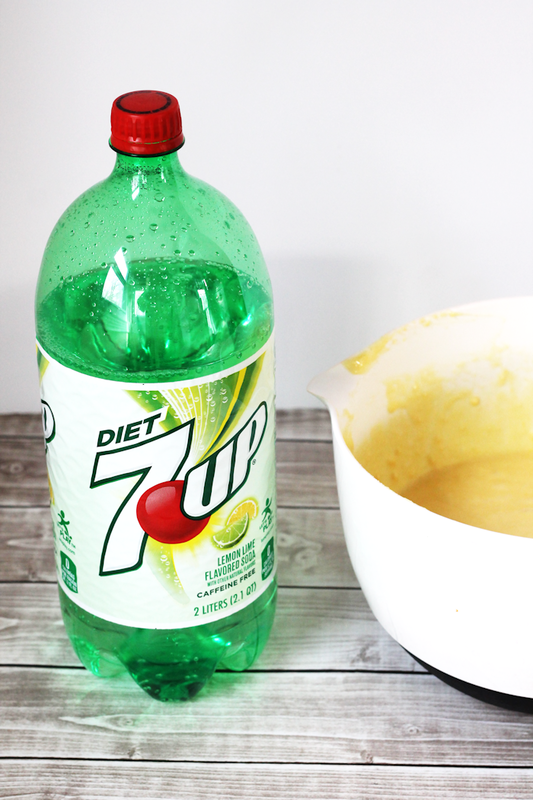 You can use this method with any boxed cake mix and any soda, but for yellow cake mix, I found Diet 7UP to be the best choice. 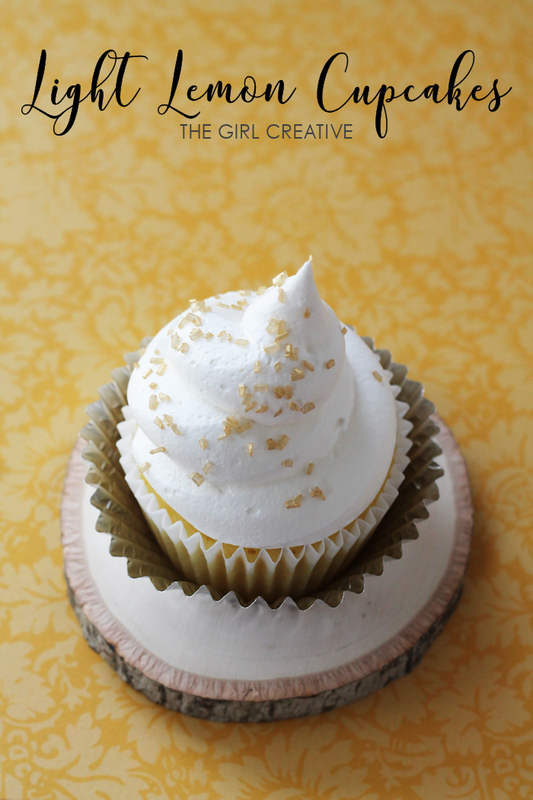 It already has the lemon-lime flavor so I added the tiniest bit of lemon extract to a tub of whipped topping and piped it right on top finishing it off with some gold sugar glitter. So delicious! I headed to my local Stop and Shop to pick up the ingredients for this recipe, including the Diet 7UP. If you don’t have a Stop and Shop nearby you can always grab 7UP products at Giant Landover or Giant Carlisle. While you are shopping make sure to check out Savory Magazine in the “New Flavors” edition until 3/30 to save $1.00 when you buy two 7UP 2-Liter bottles. 7UP is such a versatile product. 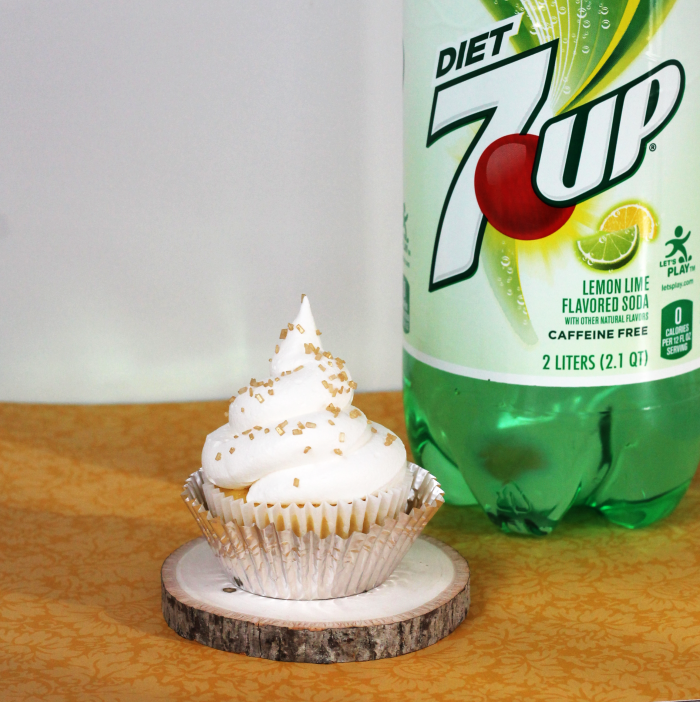 It can, of course, be served as is but if you feel like being a little more creative with your food and drink, 7UP can be used in mixed drinks, cocktails, marinades and recipes, like my lemon cupcakes. 7UP comes in lemon lime and cherry. You can also snag Diet 7UP and Diet 7UP Cherry. I’m a big diet soda drinker so I always have some on hand. I also love to entertain so Diet 7UP has been known to make an appearance at my get togethers. -Stir together dry contents of boxed yellow cake mix and 12 oz of Diet 7UP. Stir with a spoon until well combined. If you find it to be too thick, add a bit more soda or water. I had the perfect consistency with 12 oz. -Bake in oven for 10 minutes and then check with toothpick to see if it’s baked all the way through. If not, add additional baking time as needed. 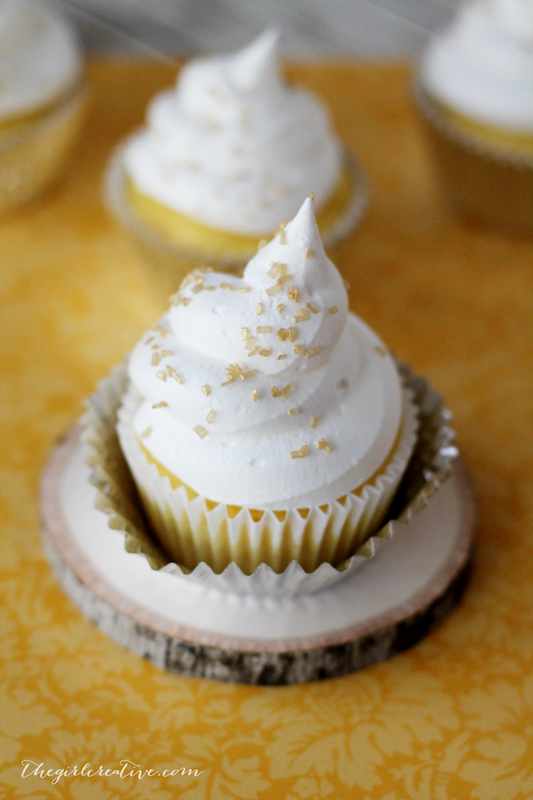 While the cupcakes are baking add a few drops of lemon extract to a tub of light or fat free whipped topping and stir. Taste and add more if desired. Once the cupcakes are done and cooled, transfer whipped topping into a pastry bag (no tip necessary) and pipe onto each cupcake. Finish off with some gold sugar glitter. Not only will you have a nice, light treat but it’s pretty too. Don’t forget to grab a copy of the Savory Magazine while out picking up your 7UP. You don’t want to miss out on the coupon and the savings.